It’s official, our house is sold, our contingent offer accepted and we are just weeks away from moving to our new digs. Our closing date is fast approaching and most of my spare time is spent packing, yet I still find a little time for grilling and ‘Queing, which I find very relaxing during stressful times. The challenge is finding the time to write about all the great stuff I’ve been cooking. Truth be told, I have been taking pictures of everything I’ve cooked for the past mont, just so I would have plenty of content. However, I’m pretty sure there’s some pics of a grilled cheese in my iPhoto library just in case. A while back during one of our dining excursions, I had the pleasure of sampling a very interesting appetizer. This tasty little morsel was wrapped in bacon, seasoned with BBQ rub and was amazingly delicious. After that first bite I knew I was going to flat out steal this recipe and make it my own. 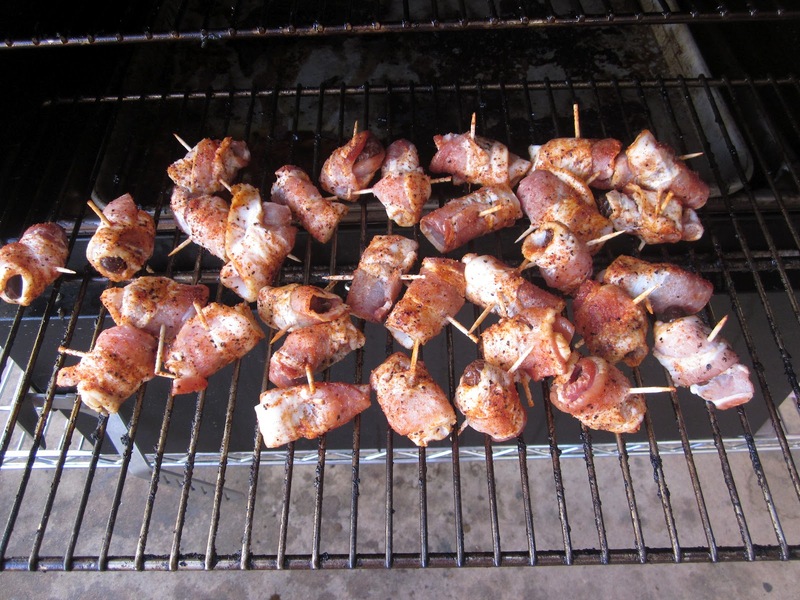 Actually, there is not really a recipe to steal, it was a date wrapped in bacon and seasoned with a BBQ Rub. It’s so simple, I felt stupid I hadn’t thought of it myself. After commandeering this recipe, I spent a few months tweaking it to my liking. First was to use my BBQ Rub & Sauce, duh? My next process improvement was to add more smoke by cooking them in the smoker, because as everyone knows, any dish can always use a little smoke. There are just 4 simple ingredients in this little nugget, but there are 40 layers of flavor. There’s tang from the BBQ sauce, rich pork flavor from the bacon, and extra spice from the rub all wrapped around a sweet and chewy date. Total flavor content of this little BBQ bite is well over a ton. Make a batch of these for your friends but don’t tell them it’s a date. 20 Toothpicks, soaked in water for 15 min. Slice the bacon in half and wrap one half slice around the date. Hold in place with a toothpick. Smoke the dates at 225º-250º indirect for about 1 hour or until the bacon is almost done. 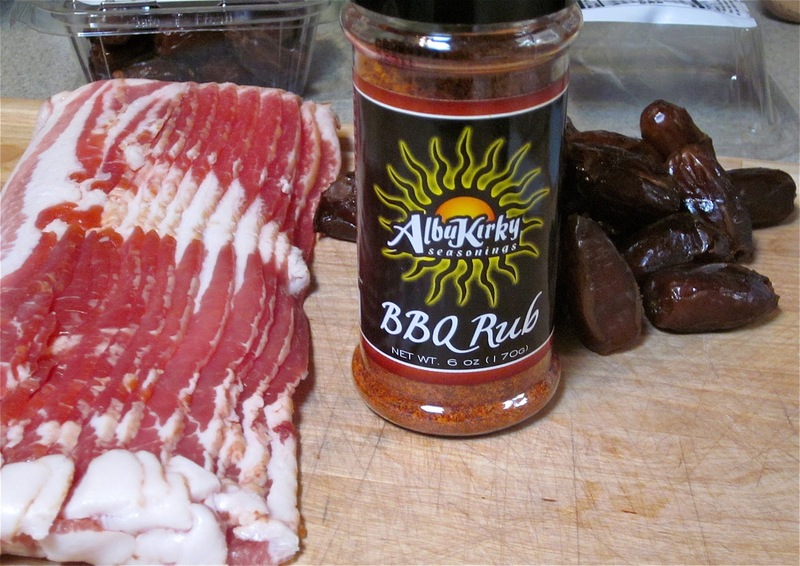 Baste the dates with AlbuKirky BBQ Sauce and cook for another 15-20 minutes. Final and most important step, remove from the smoker and eat immediately! 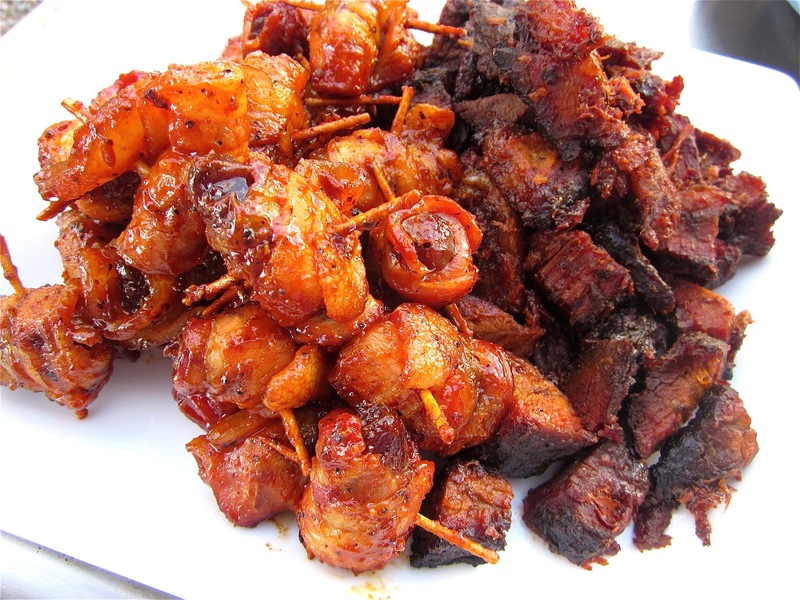 you got me at dates and bacon…. Yah, it's my creative outlet! Good luck on your move, Kirk.